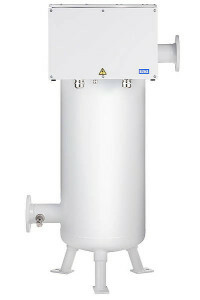 The electric heaters of the 4600 H series are our standard heaters for almost any application in high pressure systems. The internal design with exchangeable heating elements in round protection tubes provides the perfect combination of a large heating surface in minimized space. All components are custom made at ELWA, providing unrivalised flexibility in design. Control cabinets with electronic controller for stageless heating power are available on request.